The Feldenkrais Method® helps us develop a deeper self-image through gentle movement explorations where we find freedom within certain constraints. We learn to give up patterns of tension that restrict us. As a scientific method to heal and refine the human body, it already attracted great number of followers and researchers from America, Europe and Australasia since 1950s, yet still new to HK citizens. This course is open to dancers, actors, and ALL people! Paul Lee (Lee Pui Wo) - A certified Feldenkrais® practitioner/freelance contemporary dancer/dance coach based in Malmö, Sweden. Paul started to learn Ballet when 4 years old, and after graduated from Canada's National Ballet School, he has based his dance career in Europe. He has collaborated with the following dance companies: IT Dansa (Barcelona), GöteborgsOperans Balett (Göteborg, Sweden), freelance choreographers in Germany and Italy. He is currently the resident artist of Andersson Dance and K. Kvarnström & Co.
50% Off Discount: full-time students, senior citizens, Comprehensive Social Security Assistance recipients, people with disabilities & their accompanying minder. Patrons can enjoy only one of the above discounts for each purchase. Hong Kong Dance Awards Presentation and Gala Performance is THE major event of the year for Hong Kong’s thriving dance industry. Awards for outstanding achievements in choreography, performance, production, design, youth and community dance, and Lifetime Achievement are presented amidst dazzling performances from Hong Kong’s finest Modern Dance, Ballet, Chinese Dance, Tap Dance, Folk Dance, and Locking and Popping artists. When you watch a dance performance, do you want to have more to say than “nice” or “beautiful”? Aspiring dance writers and those who want more out of watching dance, do you want to share ideas about performances with others confidently, please join Dance Enhance today! From September 2015 to January 2016, participants will attend a series of lectures and workshops to learn from experts, artists and writers. In addition, they will attend 4 dance performances presented by professional companies and write reviews on each of the performances. 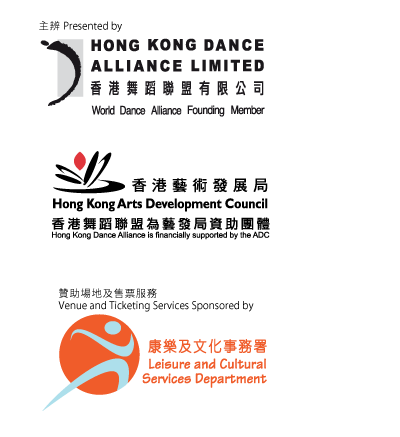 Outstanding works may even have a chance to get published in dance journal/hk or Hong Kong Dance Alliance website!